You know this thing about Lilo and Stitch Games? Lilo and Stitch is an animated adventure comedy movie from 2002 produced by Walt Disney Feature Animated and released by Walt Disney Pictures and at a short time after the movie was released everybody was in love with the main characters and their adventures. In Lilo and Stitch Games you can find 27 games that we've published for these kids and childrens that are interested to play Lilo and Stitch Games, this game gategory have been created on 14.03.2016. These games with Lilo and Stitch Games have been voted 1 times and the avarage of vote is 5.00 stars. We advice you to play the last flash game from Lilo and Stitch Games, Lilo and Stitch Family that have been published on 07.01.2017 04:00. 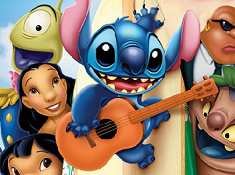 Lilo and Stitch Family its a part of Lilo and Stitch Games category and until now its played 1066 times. Try it now on Cute-Games.com! If your like the Lilo and Stitch Family game you can write a comment in the game page. Recommend this game to your friends if you like it! 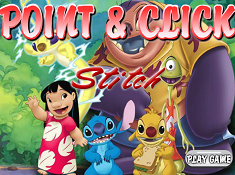 Point and Click Stitch its a part of Lilo and Stitch Games category and until now its played 898 times. Try it now on Cute-Games.com! If your like the Point and Click Stitch game you can write a comment in the game page. Recommend this game to your friends if you like it! 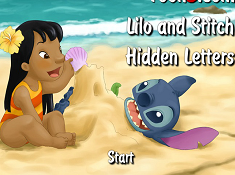 Lilo and Stitch Hidden Letters its a part of Lilo and Stitch Games category and until now its played 968 times. Try it now on Cute-Games.com! If your like the Lilo and Stitch Hidden Letters game you can write a comment in the game page. Recommend this game to your friends if you like it! Lilo and Stitch Cute Puzzle its a part of Lilo and Stitch Games category and until now its played 825 times. Try it now on Cute-Games.com! If your like the Lilo and Stitch Cute Puzzle game you can write a comment in the game page. Recommend this game to your friends if you like it! 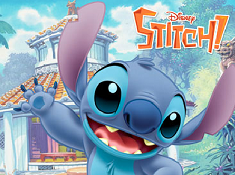 Cute Stitch Puzzle its a part of Lilo and Stitch Games category and until now its played 935 times. Try it now on Cute-Games.com! If your like the Cute Stitch Puzzle game you can write a comment in the game page. Recommend this game to your friends if you like it! 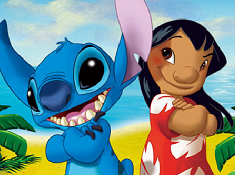 Lilo and Stitch Memory Match Up its a part of Lilo and Stitch Games category and until now its played 802 times. Try it now on Cute-Games.com! 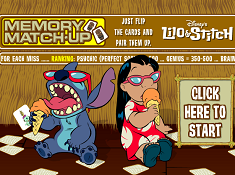 If your like the Lilo and Stitch Memory Match Up game you can write a comment in the game page. Recommend this game to your friends if you like it! 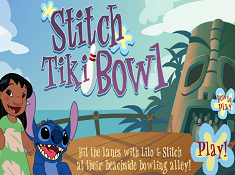 Stitch Tiki Bowl its a part of Lilo and Stitch Games category and until now its played 2239 times. Try it now on Cute-Games.com! If your like the Stitch Tiki Bowl game you can write a comment in the game page. Recommend this game to your friends if you like it! Stitch Rescue Mission its a part of Lilo and Stitch Games category and until now its played 1039 times. Try it now on Cute-Games.com! If your like the Stitch Rescue Mission game you can write a comment in the game page. Recommend this game to your friends if you like it! 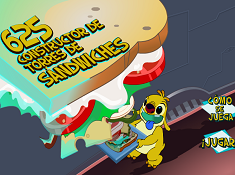 Sandwich Builder its a part of Lilo and Stitch Games category and until now its played 1884 times. Try it now on Cute-Games.com! If your like the Sandwich Builder game you can write a comment in the game page. Recommend this game to your friends if you like it! Lilo and Stitch the Series its a part of Lilo and Stitch Games category and until now its played 1256 times. Try it now on Cute-Games.com! If your like the Lilo and Stitch the Series game you can write a comment in the game page. Recommend this game to your friends if you like it! 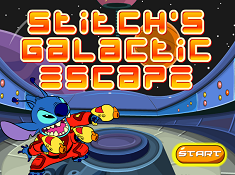 Stitch Galactic Escape its a part of Lilo and Stitch Games category and until now its played 1469 times. Try it now on Cute-Games.com! If your like the Stitch Galactic Escape game you can write a comment in the game page. Recommend this game to your friends if you like it! 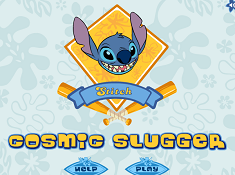 Stitch Cosmic Slugger its a part of Lilo and Stitch Games category and until now its played 1390 times. Try it now on Cute-Games.com! If your like the Stitch Cosmic Slugger game you can write a comment in the game page. Recommend this game to your friends if you like it! 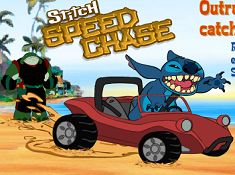 Stitch Speed Chase its a part of Lilo and Stitch Games category and until now its played 2090 times. Try it now on Cute-Games.com! If your like the Stitch Speed Chase game you can write a comment in the game page. Recommend this game to your friends if you like it! Lilo and Stitch Puzzle 2 its a part of Lilo and Stitch Games category and until now its played 1300 times. Try it now on Cute-Games.com! If your like the Lilo and Stitch Puzzle 2 game you can write a comment in the game page. Recommend this game to your friends if you like it! 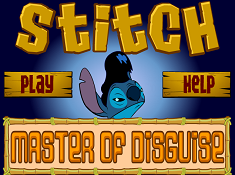 Stitch Master Of Disguise its a part of Lilo and Stitch Games category and until now its played 982 times. Try it now on Cute-Games.com! If your like the Stitch Master Of Disguise game you can write a comment in the game page. Recommend this game to your friends if you like it! 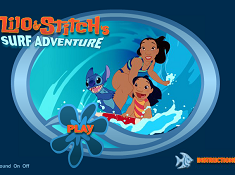 Lilo and Stitch Surf Adventure its a part of Lilo and Stitch Games category and until now its played 1321 times. Try it now on Cute-Games.com! If your like the Lilo and Stitch Surf Adventure game you can write a comment in the game page. Recommend this game to your friends if you like it! 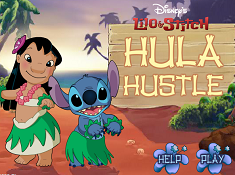 Lilo and Stitch Hula Hustle its a part of Lilo and Stitch Games category and until now its played 973 times. Try it now on Cute-Games.com! If your like the Lilo and Stitch Hula Hustle game you can write a comment in the game page. Recommend this game to your friends if you like it! 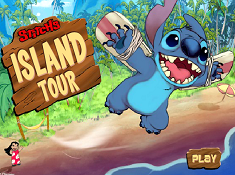 Stitchs Island Tour its a part of Lilo and Stitch Games category and until now its played 952 times. Try it now on Cute-Games.com! If your like the Stitchs Island Tour game you can write a comment in the game page. Recommend this game to your friends if you like it! Jumbas Lab its a part of Lilo and Stitch Games category and until now its played 9387 times. Try it now on Cute-Games.com! 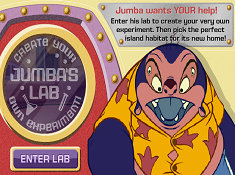 If your like the Jumbas Lab game you can write a comment in the game page. Recommend this game to your friends if you like it! 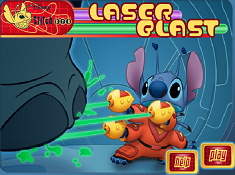 Stitch Laser Blast its a part of Lilo and Stitch Games category and until now its played 1181 times. Try it now on Cute-Games.com! If your like the Stitch Laser Blast game you can write a comment in the game page. Recommend this game to your friends if you like it! 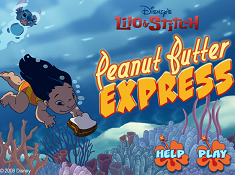 Peanut Butter Express its a part of Lilo and Stitch Games category and until now its played 926 times. Try it now on Cute-Games.com! If your like the Peanut Butter Express game you can write a comment in the game page. Recommend this game to your friends if you like it! Lilo and Stitch Puzzle its a part of Lilo and Stitch Games category and until now its played 956 times. Try it now on Cute-Games.com! 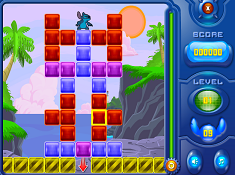 If your like the Lilo and Stitch Puzzle game you can write a comment in the game page. Recommend this game to your friends if you like it! 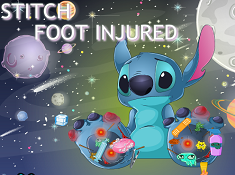 Stitch Foot Doctor its a part of Lilo and Stitch Games category and until now its played 873 times. Try it now on Cute-Games.com! If your like the Stitch Foot Doctor game you can write a comment in the game page. Recommend this game to your friends if you like it! Lilo Coloring its a part of Lilo and Stitch Games category and until now its played 1083 times. Try it now on Cute-Games.com! 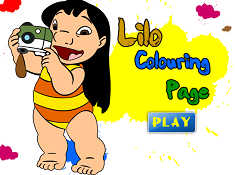 If your like the Lilo Coloring game you can write a comment in the game page. Recommend this game to your friends if you like it! 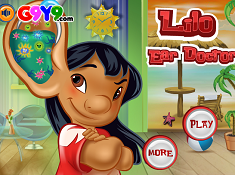 Lilo Ear Doctor its a part of Lilo and Stitch Games category and until now its played 893 times. Try it now on Cute-Games.com! If your like the Lilo Ear Doctor game you can write a comment in the game page. Recommend this game to your friends if you like it! 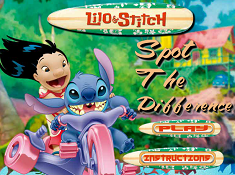 Lilo And Stitch Spot The Difference its a part of Lilo and Stitch Games category and until now its played 982 times. Try it now on Cute-Games.com! 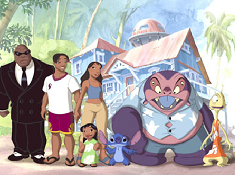 If your like the Lilo And Stitch Spot The Difference game you can write a comment in the game page. Recommend this game to your friends if you like it! Moana Lilo and Stitch its a part of Moana Games category and until now its played 1118 times. Try it now on Cute-Games.com! If your like the Moana Lilo and Stitch game you can write a comment in the game page. Recommend this game to your friends if you like it! 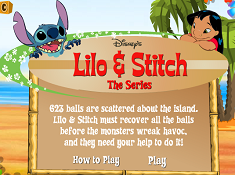 Find More About Lilo and Stitch Games! Meet our new games named Lilo and Stitch games where, you will meet the characters from the movie with the same name and along with them you will explore their wonderful and interesting world. The story is about Stitch or the Experiment 626 how they used to call him because Stitch is a failed experiment created by Dr. Jumba Jookiba. Dr. Jumba is a mad scientist who always was trying to make interesting experiments until one day, when he creates Stitch, a living creature who looks like a koala who is coming from another galaxy and for this reason the doctor was arrested and the creature supposed to be exiled on a desert. Stitch succeed to escape from being exiled and he remains on Earth where he met Lilo, the one who started to be his best friend, owner and health because at the moment they met they never were separated. As I said, one of the main characters of the movie is Stitch, an illegal experiment created by Dr. Jumba, an alien scientist who create him to make chaos in the galaxy but, Stitch results to be a lovely pet and a good friend. The second main character is Lilo Pelekai, a young Hawaiian girl who lives with her family and her older sister named Nani, on Kaua`i island. Lilo has brown eyes and a long straight black hair and you she usually wears some hula-hula costumes with sandals and hawaiian flowers but, her personality is not as cute as her oufits because she is very eccentric, rebel and she likes creatures from horror and sci-fi movies. Besides all this, she is also very talented because she loves making photos at the obese people and she really does some wonderful photos who shows the beauty in those people. She never had friends because she was marked by her parents dead but, when Stitch appeared her entire life was changed and Lilo started to live more then happy along with her best friend. Another character from the movie si Nani Pelekai, Lilo`s older sister who take care of her financial and parental but even if she does everything for Lilo, she is always busy and stressed reason for why Lilo founds a friend only in Stitch. Jumba Jookiba, another character from the movie is an alien from the planet Kweltikwan/Quelte Quan with purple and pink skin colour who wears a yellow T-shirt and blue pants or when he is in his laboratory he wears his scientist costume. He is very intelligent reason for why he choosed to be a scientist but even if he can do great things he wants to be known like an evil genius reason for why, he created Stitch, thinking that his experiment will create chaos in the entire galaxy. Pleakley, is other species of alien and character of the movie, who works for the „Galactic Federation” and he was associated with Dr. Jumba to capture Stitch. When two were arrived on Earth, Pleakley acts like he knows everything about Earth and people but he never knows nothing so, he was not helpful for Dr. Jumba`s planes. Gantu is another alien and character from the movie but he is one of the good aliens who will help Stitch and Lilo to escape from the evil Dr. Jumba and he will stay on Earth to protect them as long as Dr. Jumba is free. Between these characters you will see many other interesting characters like Mertle Edmonds, Cobra Bubbles and Grand Councilwoman like aliens but also, you will meet other people characters like David Kawena who is a great surfer, Mrs. Hasagawa, Moses Puloki who is Lilo`s teacher, Ice Cream Man and Elena, Teresa and Yuki which are three girls rival with Lilo. As you can see, this is a story full of adventure, feelings, love, friendship, intrigues and many other things so, if you liked the movie you will love our Lilo and Stitch games. 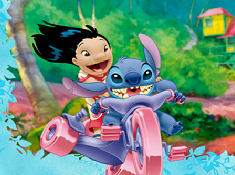 On cute-games.com you can be part of the story, you can get in and explore all the places where Lilo and Stitch were going and also, you can play and go on great adventures with them. We hope that you will enjoy a lot our online and free Lilo and Stitch games so, we invite all of you to try all our games because each of them is different so, you will live different experiences from game to game.